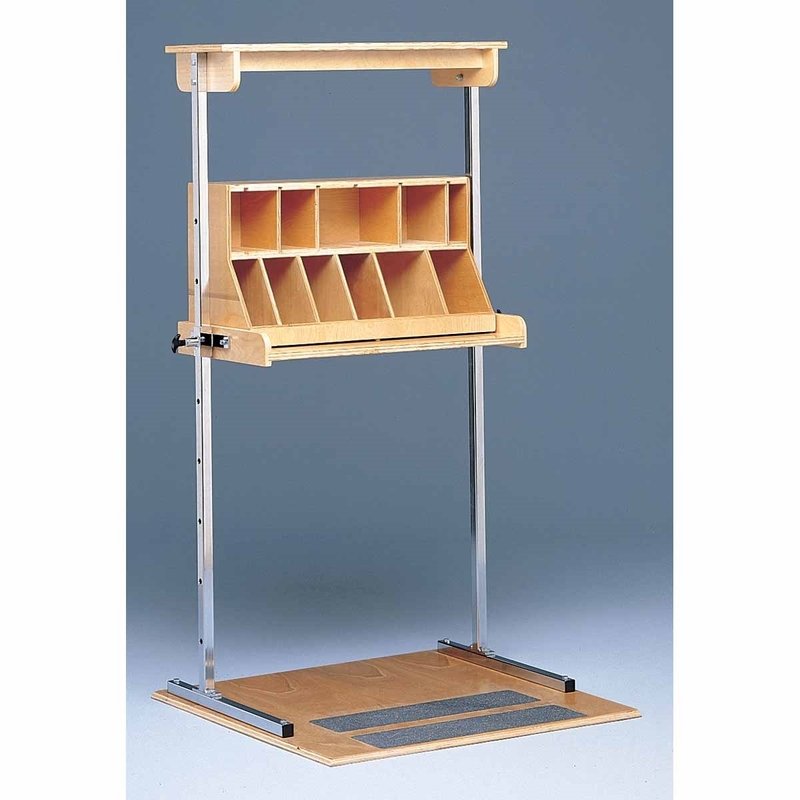 The Bailey Model 6049 Adjustable Height Shelf provides a height adjustable work surface to evaluate and develop range of motion, strength and learn proper lifting techniques. Shown with Model 6048 Sorting Bin - not included. 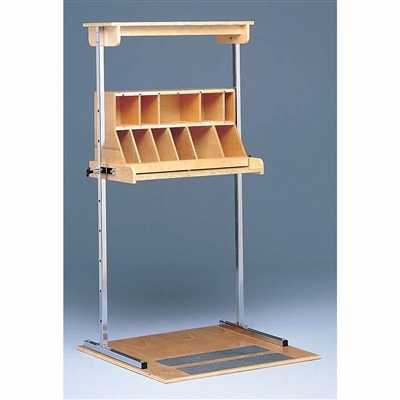 The Bailey Model 6049 Adjustable Height Shelf provides a height adjustable work surface to evaluate and develop range of motion, strength and learn proper lifting techniques. It may also be used for range of motion treatments when combined with other devices such as the Model 6048 Sorting Bin and Model 6046 Electrical Hand Assembly - Table Top. An invaluable aid for testing, evaluating and conditioning for individuals in work hardening and industrial rehab programs.